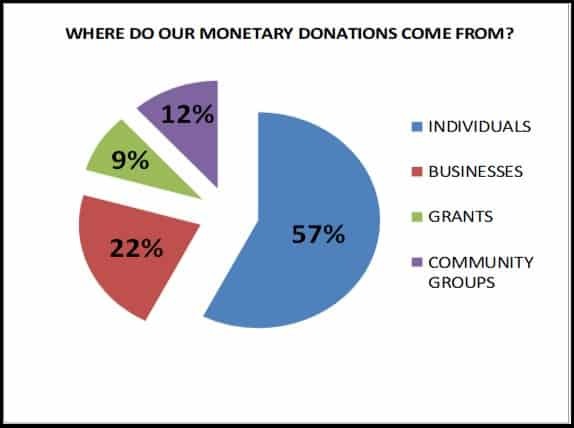 Where do our donations come from? 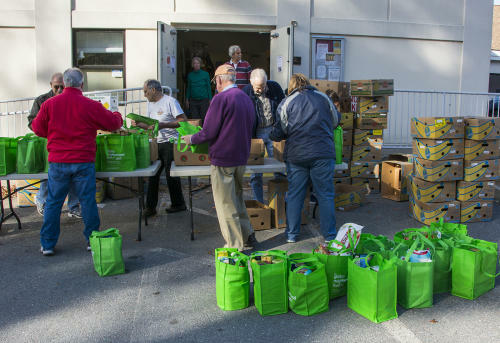 We purchase approximately 10,000 lbs of food each week from the Greater Boston Food Bank for only 19 cents per pound! We work with local stores to purchase items in bulk at reduced rates. We support local businesses and they support us! We are proud to report that 88 cents of every dollar donated goes directly to client services! Ask your employer about Employee Giving Programs and sign-up today! It’s a wonderful way enhance the value of your personal donation. Consider Leaving a Legacy to Loaves & Fishes. Your generosity will help so many of our neighbors who are struggling. A donation made In Memory of an individual is a beautiful way to ensure that goodness comes out of sadness. Make a donation In Honor of someone on a special occasion such as a birthday, anniversary or other significant life celebration.